Breve font system by Dino dos Santos (DSType foundry) is a comprehensive contemporary powerful superfamily featuring clear design, personality and high style. 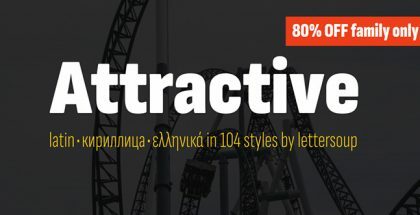 Breve font system offers 8 sub-families: Title, Sans Title, Slab Title, Text, Sans Text, Slab Text, News, and Display. Designed for complete editorial projects all of them share the same morphology, structure, and functionality. The Text versions are designated for massive text blocks, they show low stroke contrast and a milder outlook. The Titles are descender-less, sharper, working for the titles unity and capturing the attention. The News version is with more classic shapes and more calligraphy involved. The Display version distinguishes by highest stroke contrast and irresistible visual presence. Breve Title font family is a Serif coming in eight weights (from Thin to Black) plus their italics. Clean but distinctive non-descending letterforms and an elegant uppercase are among the key features of this family. Breve Sans Title family consists of eight weights (from Thin to Black) plus the matching italics. Distinctive feature: disconnection of the counters with the vertical stems in some glyphs. Bonus characters (dingbats) can be accessed through the Stylistic Set feature, from A to Z, perfectly matching the height of the uppercase letters. 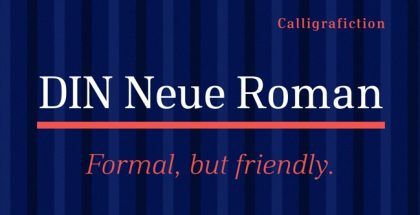 Breve Slab Title font family – the last of the “Titles” offers eight styles (from Thin to Black) plus the corresponding italics and a Stylistic Set with dingbats. It catches the eye with its well optimized and skilfully adjusted rectangular bracketed serifs. Breve Text family is a Serif typeface with a reduced uppercase height creating nice balance with the lowercase. 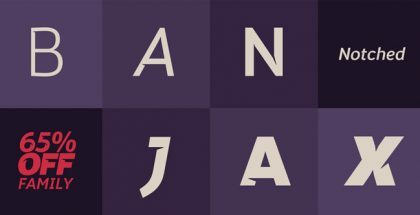 The stroke contrast is less visible thanks to the thicker serif shapes and increased italics angle resulting in an improved text flow in large text blocks. Breve Text family comes in six weights (from Light to Bold) with matching italics. Breve Sans Text font family comes in six weights (from Light to Bold) plus corresponding italics. It features a bit taller x-height, a more humanistic approach, and oblique ascenders ends – all that in favour of good legibility. Breve Sans Text shows excellent performance at any point size but its real power is in massive text passages. Breve Slab Text font family coming in six weights (from Light to Bold) plus their italics is the perfect counterpoint to the Breve and Breve Sans family. It’s distinctive with its special treatment of the serifs, omission of the serifs in the inner spaces, and italics with curved terminals on the oblique letters. Breve News font family comes in 6 weights (from Light to Bold) and the corresponding italics. It features more classic outlook with higher stroke contrast, and a lot of well-crafted details – ball terminals, delicately curved legs, etc. The italics are much more slanted for improved distinction. Breve News typeface is delicate and stylish. Breve Display font family comes in two weights – Regular and Stencil plus matching italics. It’s vigorous, ultra contrasted, attractive and eye catching. You just can’t pass by it! Dino dos Santos is a Portuguese graphic and type designer graduated in Graphic Design by ESAD, Matosinhos and was awarded with a Master in Multimedia Arts at FBAUP, Porto. 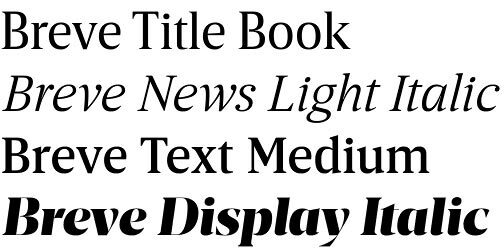 Other prizes, which he was awarded are: Creative Review Type Design Awards’ Best Revival/Extension Family in 2005 for his Andrade font; Certificate of Excellence in Type Design by the Type Directors Club of New York in 2008 for his Ventura font. In 1994 Dino dos Santos founded DSType, an independent type foundry. 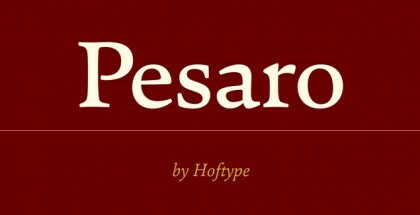 For more by DSType visit Torio font, Diversa Std font, Aparo font.